Victoria Day long weekend, a weekend that so many of us view as the unofficial kick off to summer in Canada. This long weekend has so many great memories tied to it for me, from camping to fishing to fireworks. Despite the weather still being chilly, as children it never seemed to bother us. We were ready to begin our summer adventures! Now as an adult with my own kids, the Victoria Day long weekend is a very special time for us. It is affectionately known as our ‘outdoor spring clean up’. Our kids look forward to this weekend every year as we always open the pool over the three days. The pool is still frigid but our youngest always braves the elements and dives right in. I watch in horror as he does this and stand back as far as possible to avoid being splashed by the water and to protect my favourite cup of tea. I feel extra spoiled this year as Bigelow Tea have six new flavours of their famous organic tea here in Canada! To learn more about the new flavours and to purchase a box of their new tea, hover over the picture below to click over to Walmart to purchase one of the new flavours! 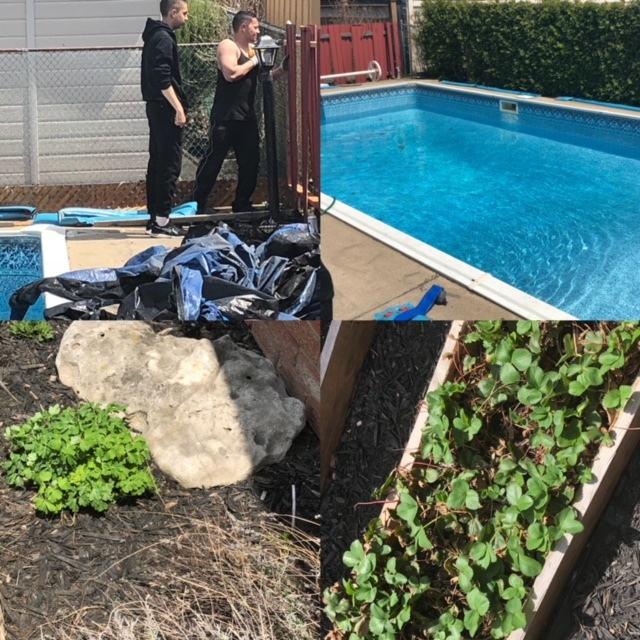 While my boys are working on the pool, I am busy working away at my gardens – pulling out weeds, replacing soil and planting my vegetables now that the fear of frost over night is gone (knock on wood as we all know how quickly weather in Canada can change). In order to prepare for our busy long weekend, we have to be super organized and start picking up supplies and planning out the weekend roughly two weeks in advance. We find that this gives us just enough time so that if something unexpected pops up, we are still prepared. Two weeks before the official long weekend, we begin to create a supply list for both my husband and I. My husband’s list will have all the pool supplies (pucks, chlorine, etc.) and mine will have the garden supplies and food that will be needed (because lets face it – boys can eat and Mom definitely deserves her favourite drinks if she is going to be on her feet all day). I always include some of my favourite items that help me to relax during this very physically demanding time. 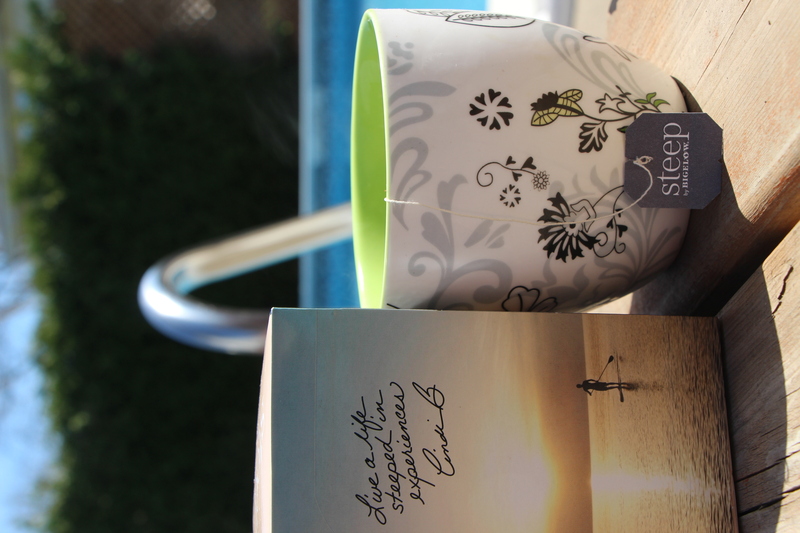 For me, the best way to relax and unwind is with a steaming cup of organic Bigelow tea. I love how a hot cup of tea melts away my problems and makes me feel that I can accomplish anything I put my mind to. There is a reason why so many people wont tackle a problem until they have had a hot cup of tea! This has been engraved in me through my Mother – she loves her tea and whenever we had a busy week or day, tea was her go to. 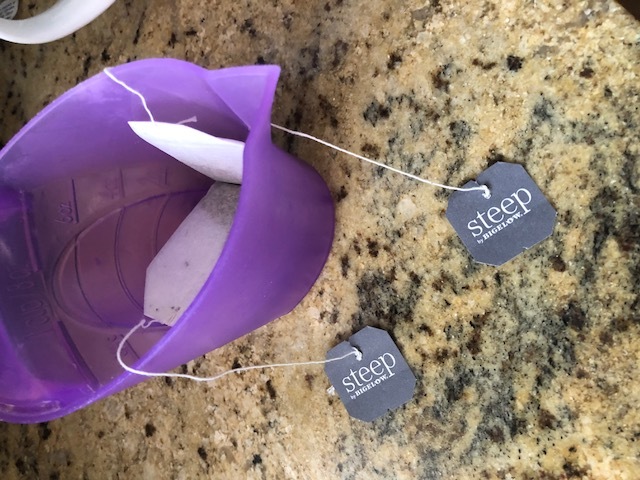 My Mom instilled a great love of tea but she always taught us to be picky with choosing the tea brand as that makes or breaks a cup of tea, this is why Bigelow Tea has been my go to drink. 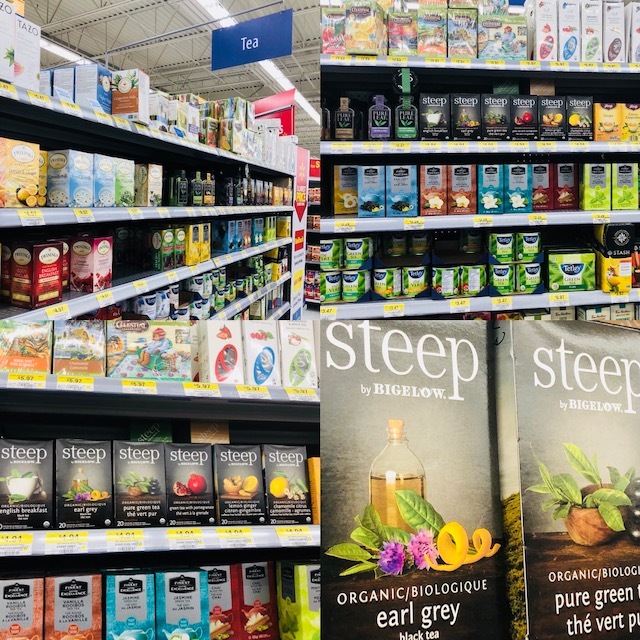 I was stoked to find out that Walmart now carries the six new flavours of steeped Bigelow Tea. 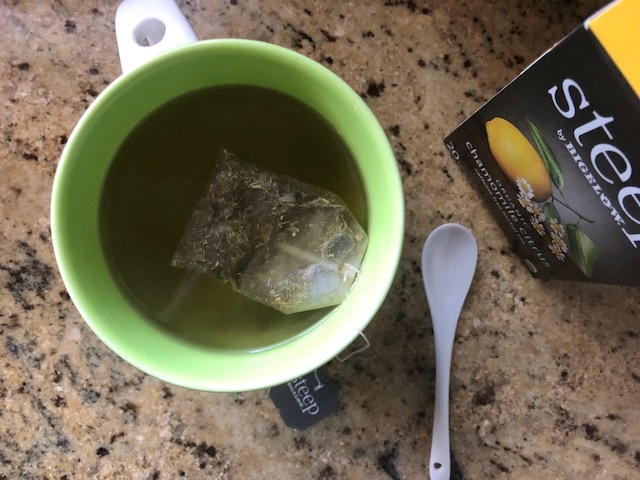 You can just imagine my joy at finding ALL of the six new flavours (Chamomile Citrus, Earl Grey, English Breakfast, Green Tea with Pomegranate, Lemon Ginger and Green Tea) at our local Walmart when I went to get groceries. 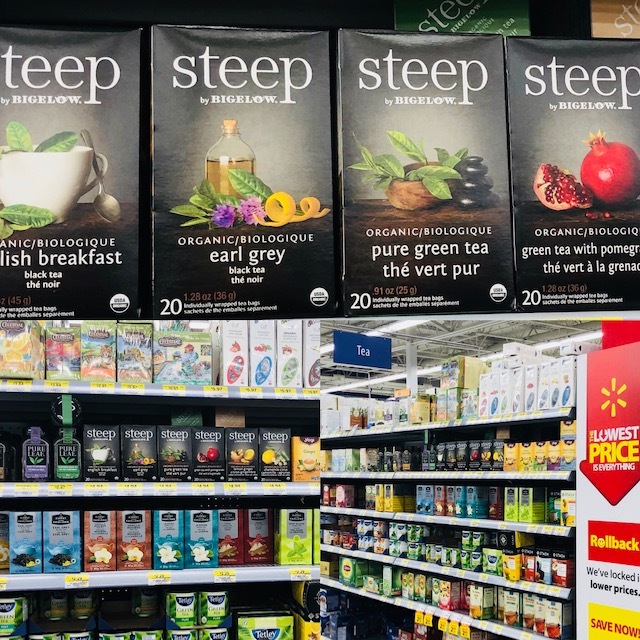 You can pick up all six new flavours in the tea aisle at Walmart while picking up your other items in the grocery department at your local store. A week before make sure to take a final stock of all of your supplies and items that you purchased to make sure you have enough and that you didn’t miss anything. If you need to, head back to Walmart to pick up any forgotten items. If you did forget anything – don’t be hard on yourself, with kids and life it is easy to forget items! I use my Friday night to prepare the meals and snacks for the next day, from preparing meat to cutting up veggies to making lemon ginger oatmeal bites. 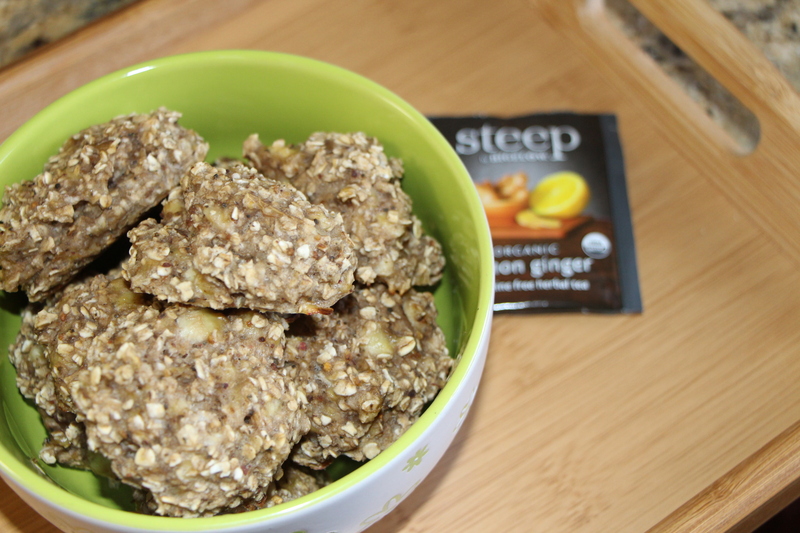 My oatmeal bites are a family favourite that uses the Lemon Ginger Bigelow tea to give a burst of flavour and energy which we all need come Saturday morning and mid-day. The bites only use three ingredients (bananas, oats and Lemon Ginger tea) and take under twenty minutes to prepare and bake, I love simple recipes in my house and you couldn’t get any simpler or healthier in my mind. The bites do have to be refrigerated but they taste great cold as the flavours seem to be that much richer the next day (find my recipe for them at the bottom of this post). I end my night with a warm cup of Chamomile Citrus tea as I find it helps get my mind and body ready to sleep. With everyone excited on the Saturday, it can be hard to remember to eat a healthy breakfast but it is so important in order to keep our bodies energized for the day. That is why I love those oatmeal bites! We can eat them on the go or even come back to them as we need to – pair it with a cup of Lemon Ginger tea and you are set for the day. Above all else, enjoy the craziness that is the outdoor spring clean up. 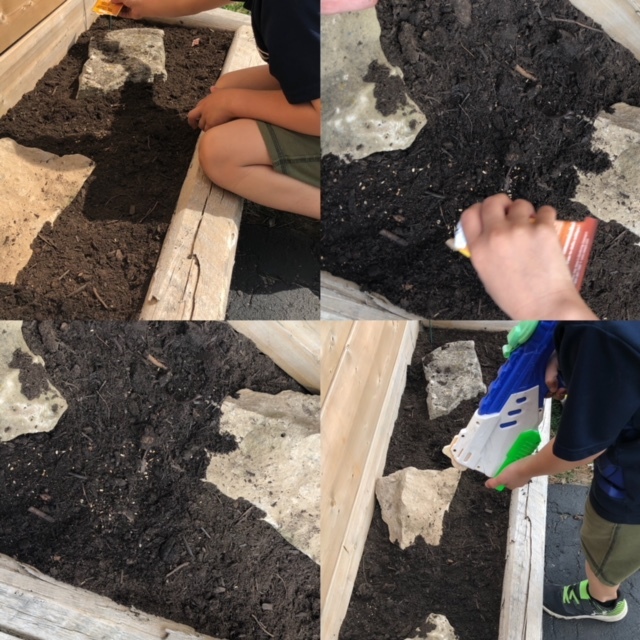 It can easily get boring for young children, so take breaks to have fun – blow bubbles, use chalk, let them ride their bike and even use their water guns to help water your newly planted seeds. Cherish each one of those memories because too soon the kids will have grown up and started their own long weekend memories. Mash the two ripe bananas in a large bowl with a fork. Boil 1/2 cup of water and add both bags of Lemon Ginger tea. Steep for five minutes. 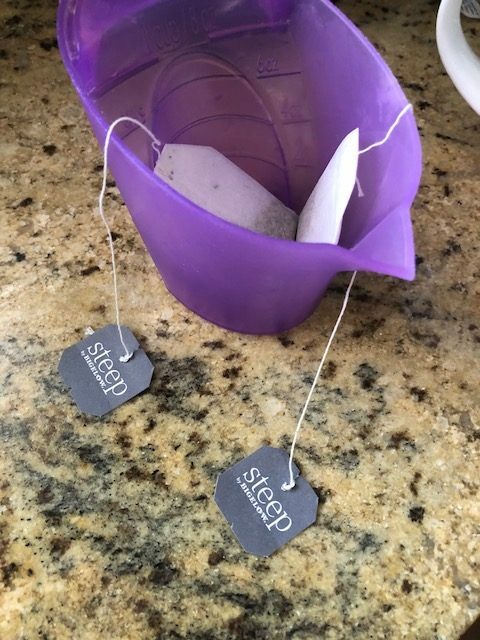 Allow the tea to cool for an additional five minutes. Add the tea to your bananas. Add in the one and a half cup of oats. If the mixture is too wet due to the size of the bananas used, add in a little bit more oats. The mixture is supposed to be wet so be careful not to add too much. Bake in the oven for fifteen minutes. Allow to cool before serving. The oatmeal bites should be refrigerated after being prepared. 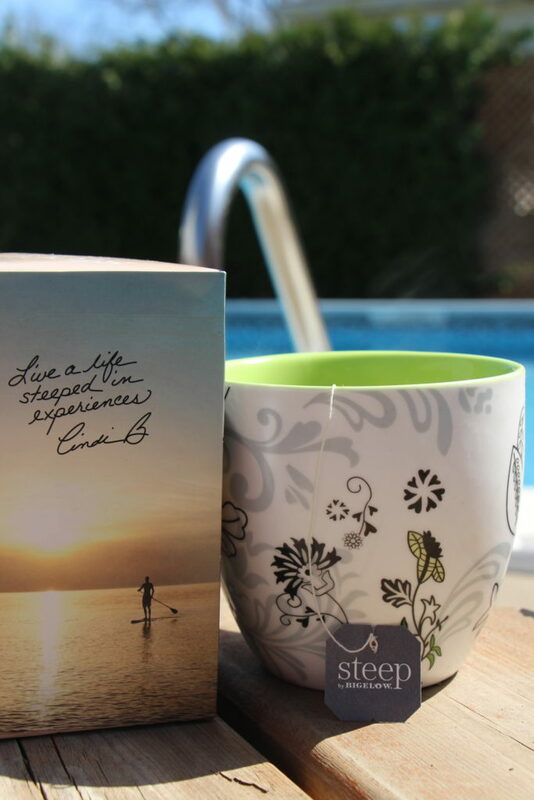 How do you celebrate the Victoria Day Long Weekend? Do you have a fond memory or favourite tea attached to the holiday? 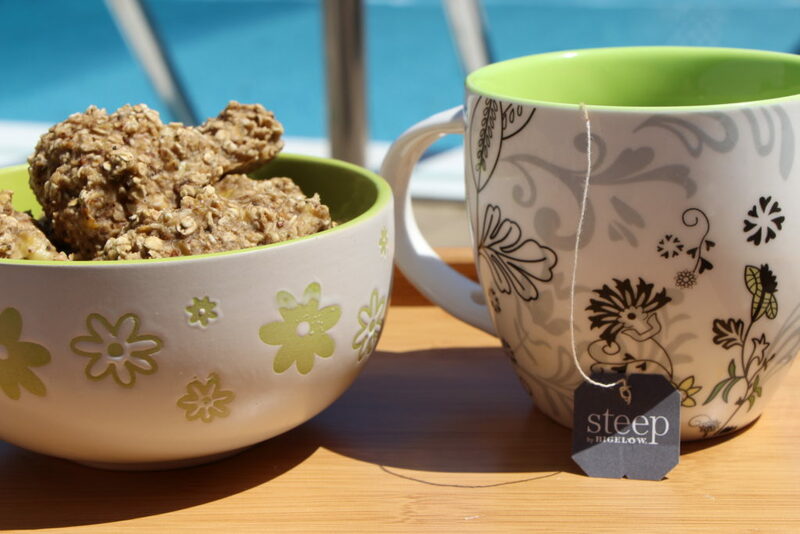 Tell me how you #TeaProudly over the long weekend! Make sure to follow Bigelow Tea on Twitter, Facebook and Instagram to keep up to date with new flavours and more. This entry was posted in food, garden, Lifestyle.